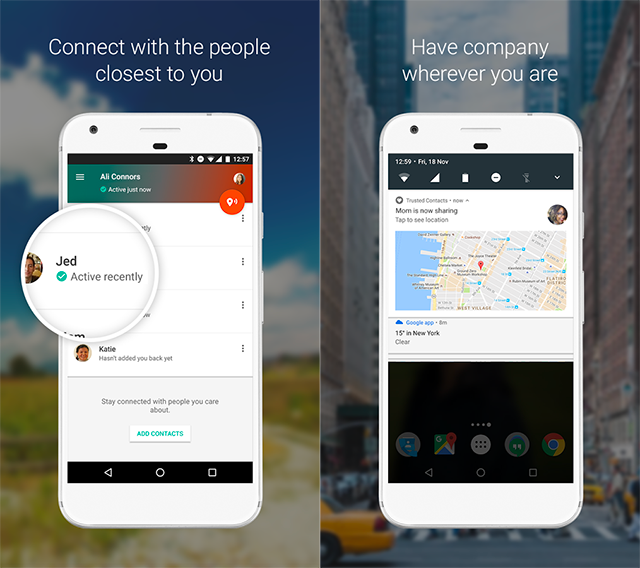 Following the launch of the Trusted Contacts application on Android in December 2016, Google released the personal safety app on iOS devices. The app allows users to share their location with “trusted” contacts even if they’re offline or are unable to get to their devices. With the Trusted Contacts app, users can mark specific contacts as “trusted,” and then share their location with these users at any time. For instance, if the user ever feels unsafe in their current environment, they can share their location with their trusted contacts for added security. In addition, a trusted contact can request the user’s current location, and the user can deny the request if they’re safe. However, if they don’t respond, the app will automatically share their last known location. This feature will function even if the user’s device is offline. Alongside this iOS release, Google has added new features to the Android version of the app (these features are also in the iOS version). Previously, when a user didn’t respond to a trusted contact’s request for their location, the app would automatically share their last known location after five minutes. While five minutes is still the default setting, users can change this timer to automatically share their last known location immediately or wait up to 60 minutes before doing so. In addition, users can now add trusted contacts using their phone numbers (as well as their email addresses). When adding a user via their phone number, the contact will receive an SMS message asking them to connect. When they accept, they’ll be added as a trusted contact within the app. Finally, the Trusted Contacts app now supports nine new languages, bringing the total to 25. The Trusted Contacts app is available to download for free on the iTunes App Store and Google Play.